Target audience: Nonprofits, cause organizations, foundations, NGOs, social enterprises, businesses. If you’re like most nonprofit communicators, you have a list of specific quarterly or yearly goals. No doubt they include growing your e-mail list, acquiring new donors and increasing engagement on your Facebook updates. The POST method is an easy-to-remember framework for creating your strategy. Target audience: Nonprofits, cause organizations, foundations, NGOs, social enterprises, marketers, managers, general public. There seem to be countless tools available for social media marketers. Tools for managing social media, measuring it, and even for creating content that looks amazing! Yes, technology can seem like a godsend. But if you don’t have a solid strategy, you’re going to waste a lot of money on a lot of tools that promise a lot of results. 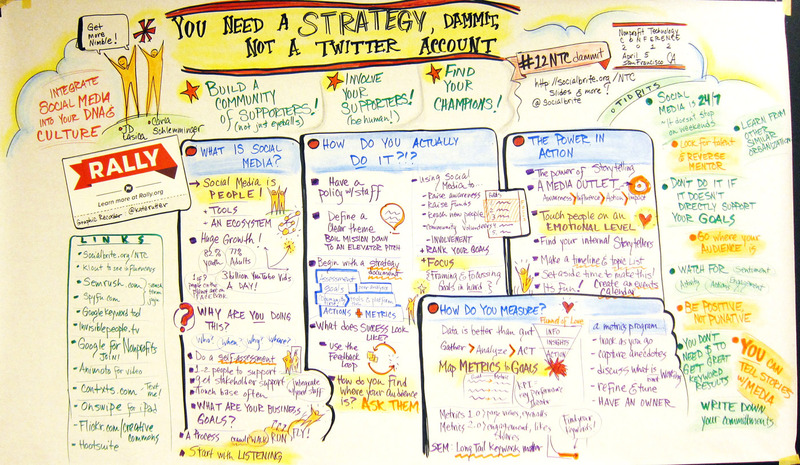 What does a social media strategy look like? Editor’s note: This is our last article of the year. Enjoy the holidays! Your organization has a social media strategy, right? Your social media strategy is only as smart as the questions it answers. Target audience: Nonprofits, foundations, NGOs, social enterprises, cause organizations, businesses, corporate social responsibility (CSR) departments. Recently I conducted a workshop on the topic of creating a social media strategy to a group of budding entrepreneurs. It’s a big, meaty topic, and no two strategies are ever developed in the same way. Over the years, I’ve developed a methodology of what goes into strategy development, and focused on that methodology for the workshop. 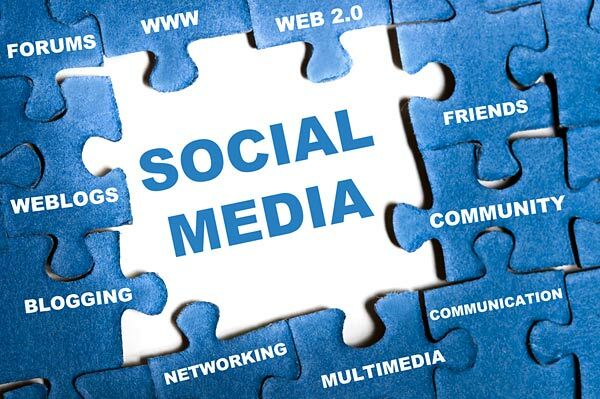 There are four elements in developing a social media strategy: evaluating current organizational assets, researching competitors (and comparables), choosing appropriate channels for ongoing participation, and measurement. I might add developing online campaigns (as relevant) to that mix. 1.) Realistic commitment to social media (time, personnel, budget). 2.) The value the organization can offer on the social media channels. 3.) Goals: What the organization wants to get back from its social media engagement, such as brand awareness, sales, members, volunteers, specific project goals, or other. This is the second part of a two-part series on creating a strategy for your nonprofit or social cause. J.D. conducts two webinars a month on “6 Steps to Create a Powerhouse Social Strategy for Your Nonprofit” at CharityHowTo. Target audience: Nonprofits, foundations, NGOs, social enterprises, cause organizations, brands, businesses, government agencies. How many nonprofits do you know that have incorporated social as part of their overall strategy, or even their communications strategy? 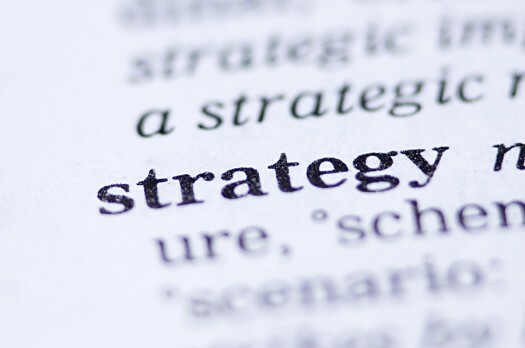 Let’s go further: How many nonprofits really have a strategy? Apart from the largest nonprofits, the list is painfully small. And that’s too bad, because here is what happens when strategy is not at the heart of your organization’s actions: On a good day, you bounce around from putting out one brushfire after another. On a bad day, the fire wins. At the Nonprofit Technology Conference in San Francisco on April 5, my Socialbrite partner Carla Schlemminger and I will be leading an interactive session titled You Need a Strategy, Dammit, Not a Twitter Account (with the Twitter hashtag #12NTCDammit). Target audience: Nonprofits, NGOs, cause organizations, social enterprises, brands, businesses, social media managers, Web publishers, individuals. Google+ launched Pages last week, a move many of us have been looking forward to since the launch of Google+ itself. Within days, stories of unintentional G+ personal posting, problems sharing admin oversight, and issues with merged profiles were shared on the web. However, during that same time frame, hundreds of nonprofit organizations worldwide created and launched Google+ brand pages. Two nonprofit motivations are apparent. A primary motivation seems to be related to search engine optimization: Google is the largest search engine by far, and Google Pages will certainly benefit from Google’s search algorithm (see why). I wrote that Google’s+1 button will change search, and so will Google+ Pages. The second motivation seems to be that everyone wants to get in on Google+ Pages early enough to start figuring out the medium. And maybe get a head start. Does using Google+ Pages makes sense for your nonprofit? Strategy: Think strategically about what the conversation should be about on Google+, how you might use Google+ to meet your SMART goals, and how it will help your organization further its mission.